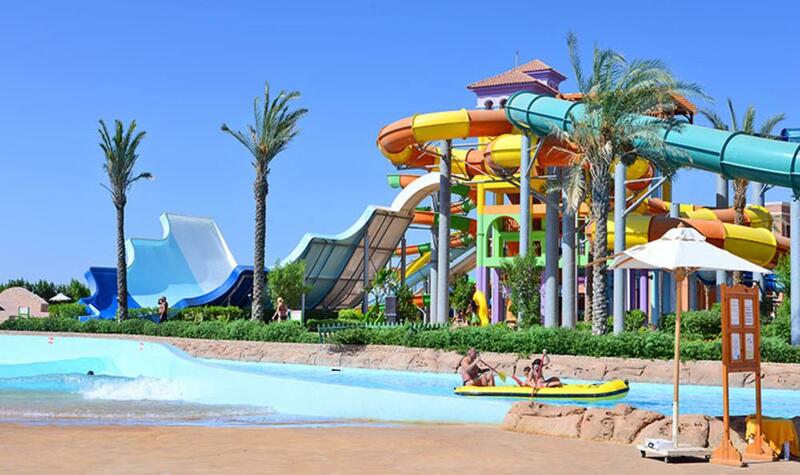 The swimming pool complex includes swimming pools for adults and for children and there is a range of water-slides and activities for all ages. 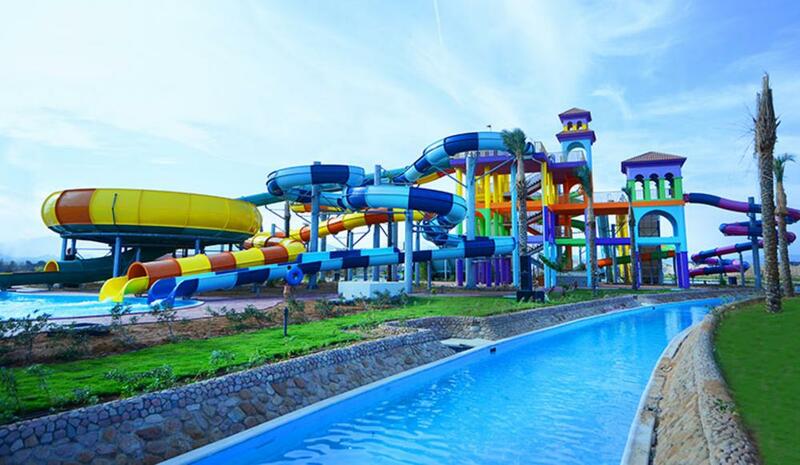 Further leisure facilities at the Sea Club Aquapark Hotel include a diving centre and a tennis court, sun terraces with loungers, a children's playground and a kids club. The health club has a sauna and a steam room, a Turkish bath, a jacuzzi and a fitness gym (charges may apply) and there is also a hair and beauty salon (some facilities offered at the sister hotel). The main restaurant offers buffet service and there is also a restaurant specialising in Italian cuisine (supplement payable locally), a bar, a terrace bar, a pool-side bar and regular evening music and entertainment. Services available to guests include 24-hour reception, 24-hour in-house doctor, 24-hour taxi bookings, WiFi (local charge), ATM machine, currency exchange, laundry services (local charge), internet (local charge) and a shuttle bus to the beach and to Naama Bay. Some facilities will be charged locally. There are 302 guest rooms and suites providing stylish, spacious and comfortable accommodation. Room types available include family suites with two separate bedrooms, one bathroom and lounge area suitable for up to 5 people, family rooms with a double bed and 2 sofa beds with sliding door suitable for up to 4 people, standard rooms for up to 3 people and Duo rooms for two people. All rooms have an ensuite bathroom, a balcony or terrace and are equipped with satellite TV and direct dial telephone, a hairdryer and a mini bar/fridge, a safe deposit box and individually controlled air conditioning. Breakfast, Buffet, Restaurant, Daily: 07:00 - 10:30. Lunch, Restaurant (Aqua Park. Serving Pizza, grilled food, salad and desserts buffet). Afternoon Tea, Bar (Terrace Bar), Daily: 17:00 - 18:00. Late Snacks, Bar (Terrace), Daily: 01:00 - 03:00. Snacks, Pool Bar (croissant, danish, cakes), Daily: 10:30 - 12:30. Lunch, Pool Bar (Fish and Chip Corner), Daily: 13:00 - 16:00. Snacks, Bar (Aqua. Burgers, hot dogs, sandwiches and pizza), Daily: 13:00 - 16:00. Bar (Aqua. Also open 10:00 until sunset), Daily: 19:00 - 23:00. Pool Bar (Open from 10:00- Sunset), Daily. BBQ, Indian and Italian restaurant (extra charge and subject to reservation), Disco (with charge). 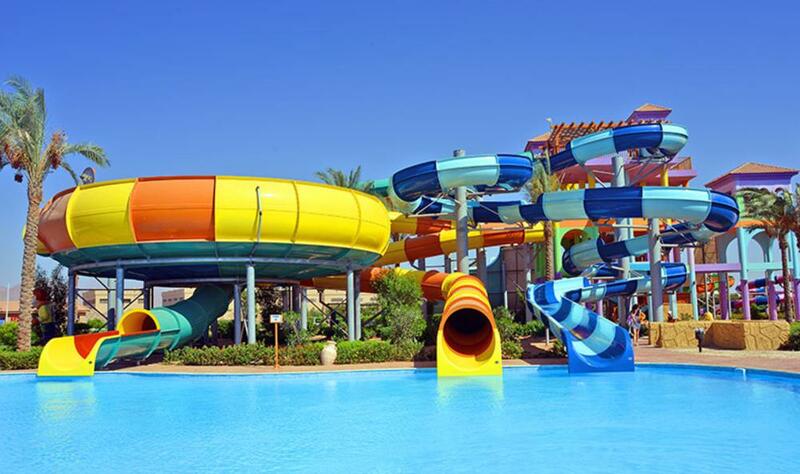 Sea Club Aquapark Hotel is located just 1km from the beach in Nabq Bay at Sharm el Sheikh, to which there is a free shuttle service. Naama Bay is approx 24km where there is also a shuttle bus. The hotel was beautiful very clean and tidy! The staff went above and beyond to make your stay amazing, I will return again!! Hotel was excellent. Food was very good, everyday something different. Pools very clean and lifeguards were fab, all staff were excellent and no complaints. Thanks again. We loved it, the people were so friendly and the facilities were brilliant. After the restaurant closes at 9.30pm sometimes could of done with a little snack to eat but nothing available until 1am. Worst food I have ever had in an Egyptian Resort. Water park brilliant. 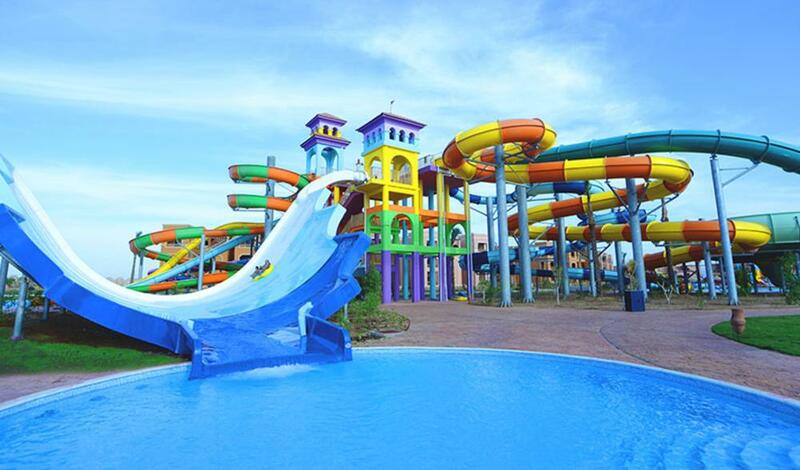 Overall the holiday was great, the entertainment, the rooms, the pools and slides and the majority of the staff. A lot of the reception staff were unfriendly and unhelpful, the younger members of reception staff were better. The internet connection was shocking, it was the same as years previous. You can pay for a mobile device, but it was £33.00 per week, rather extortionate and not much better. The entertainment area was a let down. It wasn't ideal for people with babies and small children. It would have been better suited round the pool bar area where there was room for them to run around and to get refreshments. The lifeguards were amazing with the children, they do a fantastic job plus more. The waiters in the restaurant were welcoming and very pleasant. One particular waiter called Mohamed was so kind, he would find us a table as soon as we walked into the restaurant and would make sure we were happy. The food was ok, but the chefs seemed to favour the Egyptians over any other nationality, they would give us less portions of food then the Egyptians. The room we had was perfect for us, nice and spacious and clean. The cleaners were brilliant and always said hello and made up the rooms to a very good standard, they would make animals out of the towels and put them on the bed. The location is in a quiet place with nothing immediately outside, but you could get either a shuttle bus or in house taxi. Nabq Bay in itself is very quiet with not much to do but there is a metro centre which was handy as we ran out of babies milk and nappies. Naama Bay was lovely and busy. Overall the hotel was good and made us more then welcome. For us the location was too secluded, we would have preferred to be in the centre of everything but would highly recommend this hotel. Great staff, great water park, nice hotel, ok food. If you want more than water and sun you could be left wanting; it is the staff that make this hotel, but my wife loved every part of it. Rooms were good, cleaner did a great job every day. Staff were very good, nothing too much trouble. Lifeguards very friendly and helpful. Entertainment ok, nothing special. All round great hotel for families, not so good for couples. Lovely, friendly staff, thoroughly enjoyed stay here. Food not good sometimes cold. The hotel is a fantastic complex for families. The music they play by the pool is very loud, we used the pool furthest away to try avoid this loud music. Entertainment team work hard and try to get you involved. Room was lovely especially big comfy bed. The location's ok very close to the airport. Hotel very clean, staff very friendly, lifeguards fantastic, daytime entertainment great but evening entertainment very very poor though they do try but need more shows. Food good but not catered much for English especially the children, not all children like pasta, pasta, pasta or chips. Saying that we did have a fantastic holiday and would return but hotel needs to get wifi. On site shop called Sams fantastic, don't use the Asda, very expensive. Didn't like being hassled by Spa staff either, no means no.